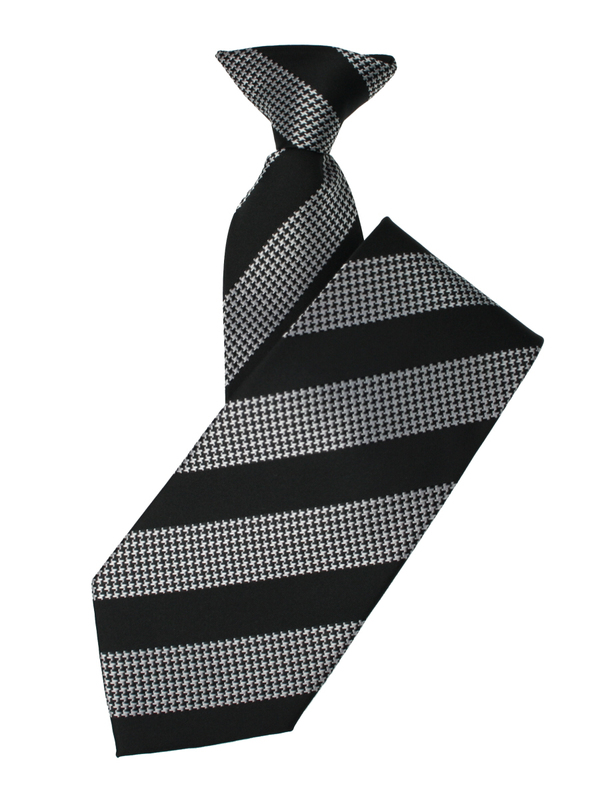 An extremely smart black and silver clip-on tie in wide diagonal stripes. Would suit both work or evening functions. Made in the UK. Plain black clip-on tie. Useful for uniforms, black tie events or funerals.